Lock in a great price for Bingham Riverhouse – rated 8.9 by recent guests! The hotel and room is very cozy, and room is clean and smells really good. Receptionists are really friendly and helpful, makes a big difference on the experience staying in Bingham. Great food - excellent cocktails and good choice for reasonably priced set menu. Staff were lovely and food in the restaurant was super tasty! Rooms were clean and very comfortable, especially the bed. Overall the Bingham is excellent. Nice decor and fantastic location, good staff and very comfortable. Very friendly staff and the dinner and breakfast were excellent. Good location. Lovely view over garden to the river. Breakfast was very good, if a bit slow. 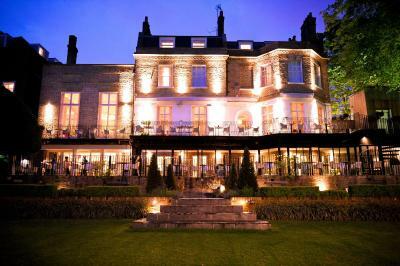 Comfortable bed in a wonderful boutique hotel in a great location overlooking the river. Drinks on the balcony were a delight. Excellent breakfast, cooked to order. Staff very friendly and helpful. Very relaxed, pleasant environment. Bingham Riverhouse This rating is a reflection of how the property compares to the industry standard when it comes to price, facilities and services available. It's based on a self-evaluation by the property. Use this rating to help choose your stay! 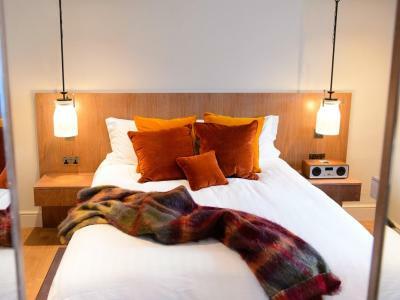 A 15-minute walk from Richmond Tube Station and 25 minutes from Kew Gardens, Bingham Riverhouse features luxurious rooms, some overlooking the River Thames. 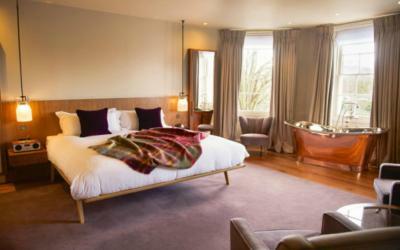 Each room at Bingham Riverhouse is individually decorated and features a luxurious bathroom, some with whirlpool baths. 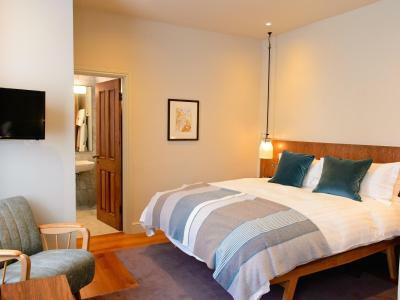 The elegant rooms have Art Deco inspired furnishings, DVD players and a built-in sound system. 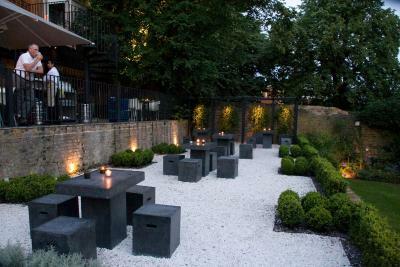 The award-winning Bingham Restaurant serves British cuisine featuring seasonal ingredients. The wine list focuses on exclusive labels. The cocktail bar offers both classic and modern drinks. Light meals and afternoon tea are also available. Just 25 minutes’ drive from Heathrow Airport and Buckingham Palace, Bingham Riverhouse provides easy access to central London and the Richmond area. Richmond Park is a 10-minute drive away and there are 6 golf courses within 15 minutes’ drive. 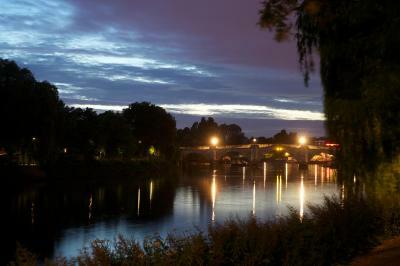 This property also has one of the top-rated locations in Richmond upon Thames! Guests are happier about it compared to other properties in the area. When would you like to stay at Bingham Riverhouse? 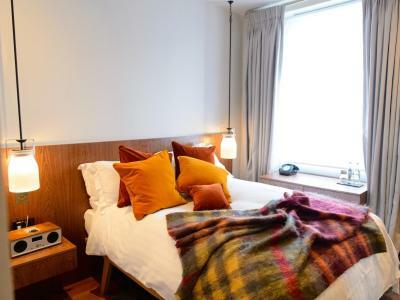 This room features handmade organic mattresses from Devon based, Naturalmat, duck and goose feather duvets (hypoallergenic available), individual climate control, a flat screen TV and an iPod classic docking station with DAB radio. The room also features a marble walk in power shower. 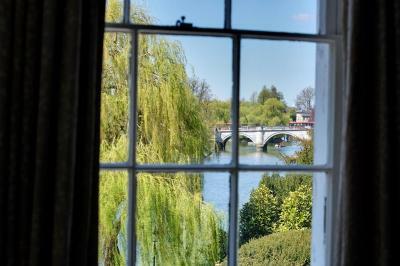 This room offer views over the River Thames. There is a king size bed and homemade organic mattresses, as well as a duck and goose feather duvet (hypoallergenic bedding is available). 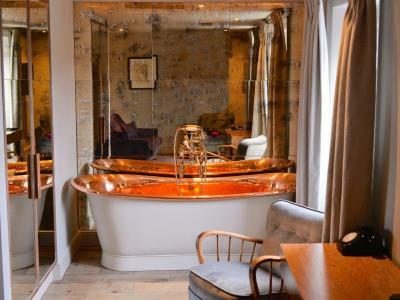 Some rooms feature a Catchpole & Rye copper bath tub. The room features individual climate control, flat-screen digital TVs, complimentary WiFi and iPod classic docking station with DAB radio. The rooms also feature marble walk in power shower. 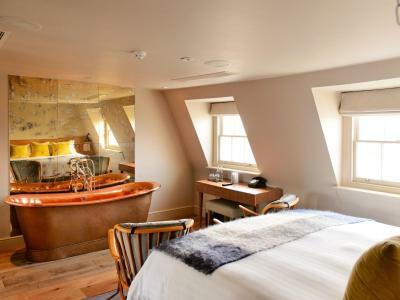 Some rooms feature a Catchpole & Rye copper bath tub. 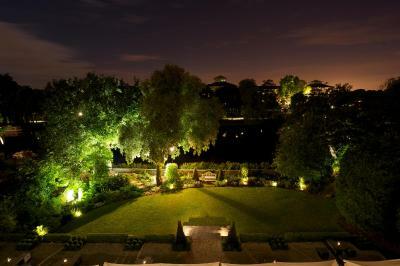 This superior room offer views over the River Thames, our gardens and the embankment beyond. There is a double size bed and homemade organic mattresses, as well as a duck and goose feather duvet (hypoallergenic bedding is available). 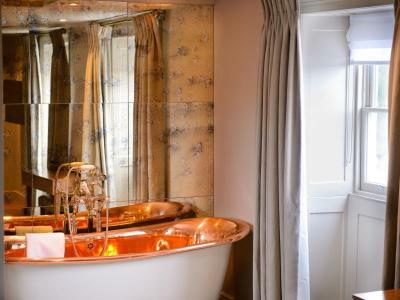 There is an in-room copper bathtub and a walk-in shower. This room has a double bed and homemade organic mattresses, as well as a duck and goose feather duvet (hypoallergenic bedding is available). There is a walk-in shower. 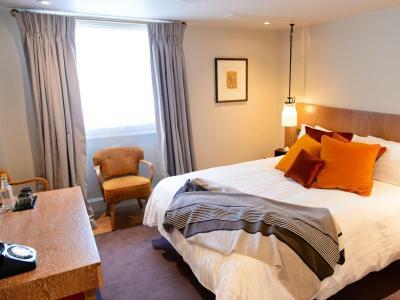 This superior room offer views over the River Thames, our gardens and the embankment beyond. There is a double size bed and homemade organic mattresses, as well as a duck and goose feather duvet (hypoallergenic bedding is available). 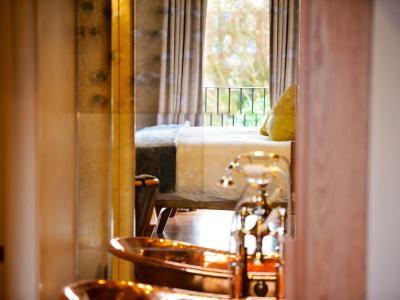 There is an in-room copper bathtub in the window, as well as a walk-in shower. This room can accommodate up to 2 extra beds and/or cots. The property, originally built as two houses in 1740, was described in a rental survey for George III, carried out in 1773 as a “messeuge (a dwelling), court and garden” and a “messuage with stables and coach house”. Richmond has everything you need, from beautiful surroundings and open spaces to shopping and historic attractions. 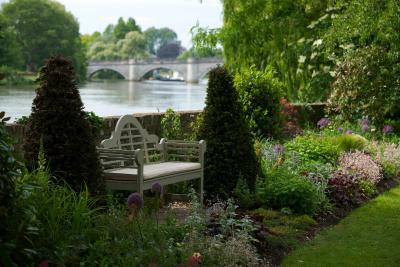 Not only does the River Thames run through the town, but the tow path leads you to Kew Gardens and Hampton Court Palace, as well as open space in nearby Richmond Park. Hotel surroundings – This neighborhood is a great choice for travelers interested in riverside walks, parks and walking – Check location Excellent location – show map Guests loved walking around the neighborhood! House Rules Bingham Riverhouse takes special requests – add in the next step! All older children or adults are charged GBP 50 per person per night for extra beds. Bingham Riverhouse accepts these cards and reserves the right to temporarily hold an amount prior to arrival. Please note that this hotel has a strictly nonsmoking policy. Very noisy plumbing. Sounded like someone playing the drums. Very irritating. Made for a short night. Advise asking for a room at top of hotel to avoid noise coming up from the bar. Sound proof is really bad, and the door to the rooms has a big gap to the floor. Great staff. Lovely location. Very clean. Dinner selection could have been more options. Triple fried chips a bit greasy! The hotel is not spacious, there were works going on inside and although the bed was exceptionally comfortable and the room very nice, the bathroom was extremely tiny whilst the price was extremely high. Accessing room on top floor was difficult. No lift and narrow stairs but staff very helpful. Private party occupied bar so we couldn’t use. The room was quite stuffy. Close to the centre of Richmond. DInner was sensational, great selection of wines, great coffee, beautiful rooms and great location. Wonderful service. Beautiful bar, and elegant fit out. Would heartily recommend. Waitress at breakfast was very pleasant and polite.